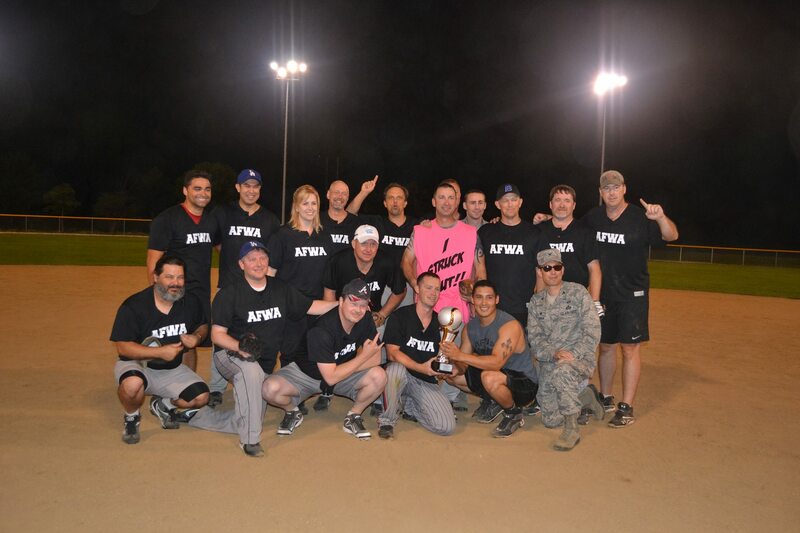 Congratulations to AFWA for winning the 2014 Intramural Softball Championship! Nice shirt Coach John! If too much work, cut to 7 of each. alternating single arm KB rows. Put free hand on box for stability.